This stunning 4 bedroom villa with separate guesthouse, pool and tennis court, is situated in the Areias Dos Moinhos area, just a 15 minute walk from Carvoeiro centre, with sea and country views. This is impressive 250sqm villa is located in 3,200 sqm mature plot. The villa is entered through iron gates and large drive through mature gardens and past the full size tennis takes you to the beautiful Casa as Videiras with parking for several cars and a double carport. 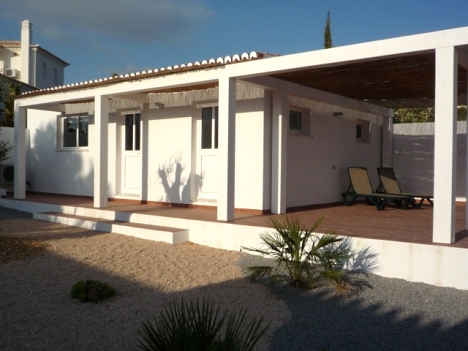 This villa was totally refurbished and modernised to a very high standard in 2009. The main villa hosts 4 large bedrooms with 3 bathrooms sleeping 8 people. A large open plan lounge and dining area, a fully equipped kitchen. 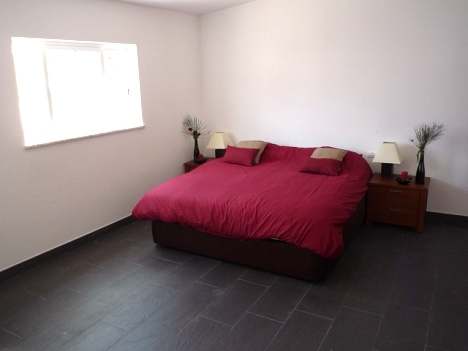 There are 2 double bedrooms and 2 twin bedrooms. The villa also has a separate guesthouse with large double bed, sofabed, lounge with TV and an en suite bathroom. The guesthouse has its own terrace and privacy from the main house. Outside is large terrace with BBQ area and outside furniture surrounding a heatable swimming pool with separate children's pool. 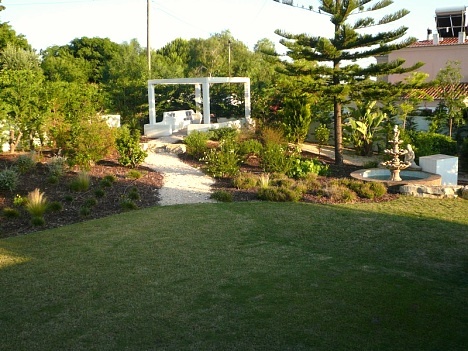 Large mature gardens with a sandbox for the children and a full size tennis court. 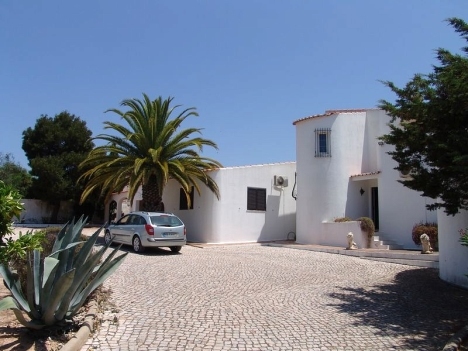 This is an attractive property for 1 or 2 families situated on a large plot, within walking distance of Carvoeiro town and the beaches. There are a couple of restaurants within a 5 minute walk from the property. 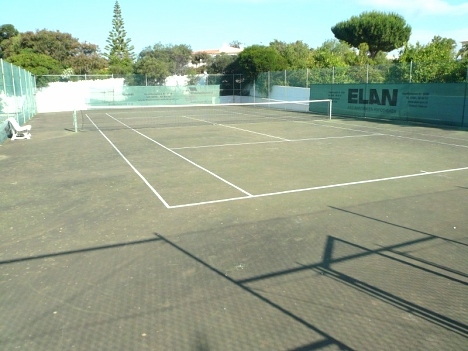 Full size Tennis Court set in mature gardens. We stayed at this villa for 3 weeks in June 2014. The photographs do not do this place justice - its immaculate, the gardens are far more mature and pretty than on the photographs - fruit trees laden with oranges. Utter privacy and quite - no external noise at all - essential to us. Kitchen fitted with every conceivable gadget or equipment required, beautifully furnished. Master bed was incredibly comfortable. 2 mins drive from Carvoeiro - we didn't walk but will next time. Overall perfect, cannot recommend highly enough.